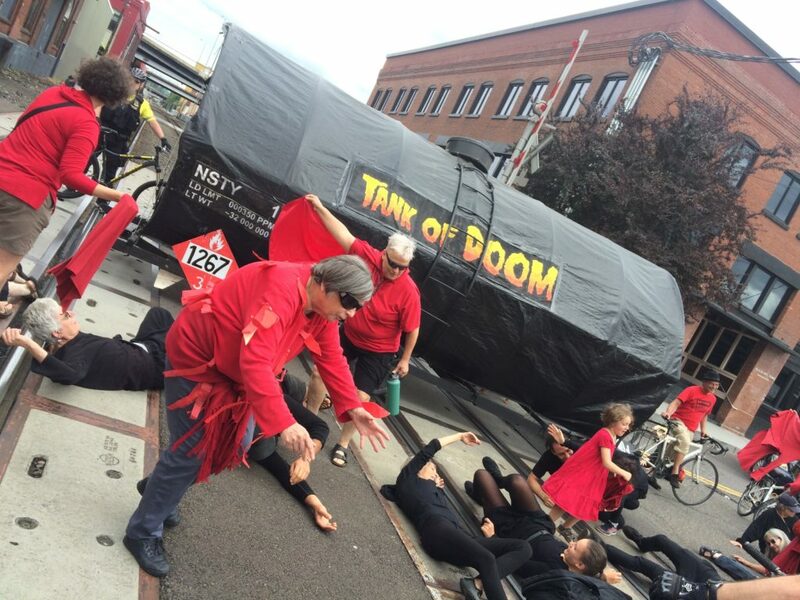 Portland, OR — The fledgling Fossil Fuel Resistance Network (“FERN”) orchestrated a street theatre flash mob on Saturday to stand up to railway and oil corporations which continue to put our communities at risk of climate change and oil train explosions. With more than 50 participants, those dressed in black fell to the ground and made gurgling noises as they spilled from the Tank of Doom. 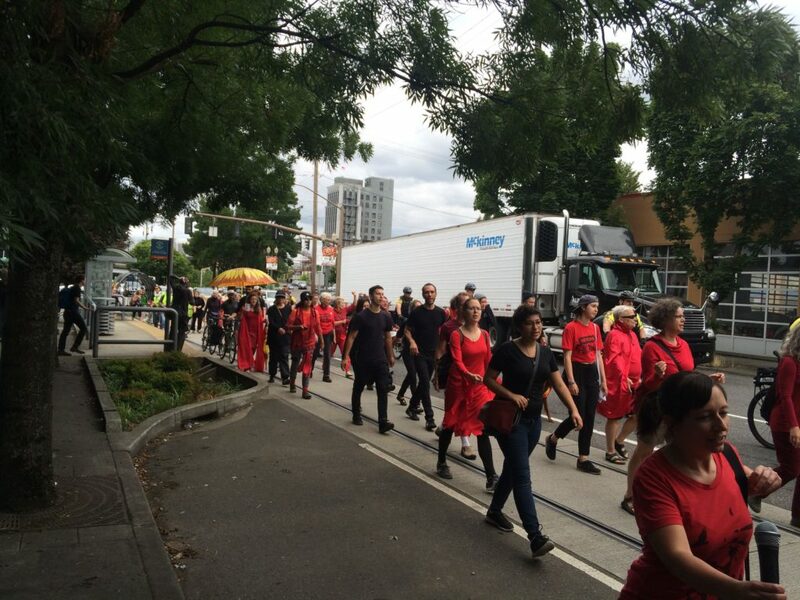 Those wearing red danced around them, waving scarves and shouting “Burn! Burn!”. 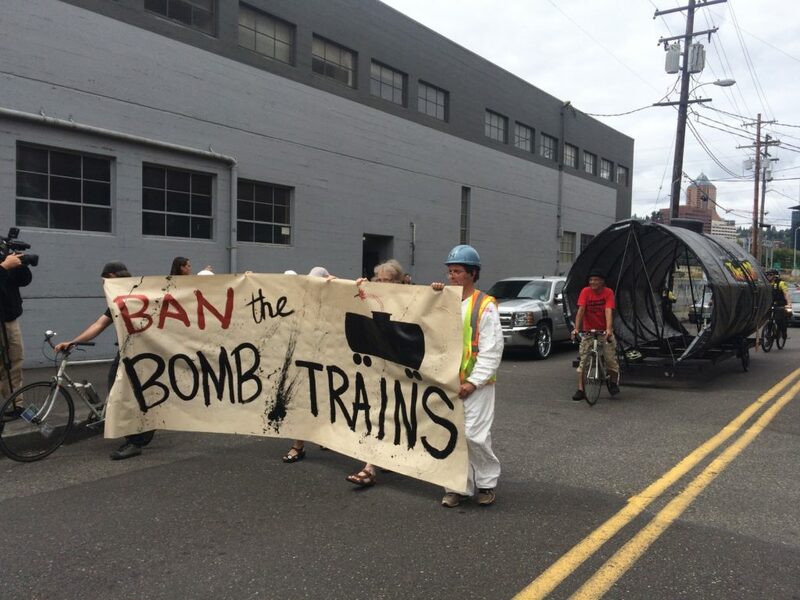 The performance was repeated several times as participants snaked through SE Portland’s industrial area– including one performance atop the railroad tracks near Water Avenue and SE Taylor St. Portland police responded with bullhorn threats of arrest until the group disbanded from the tracks, heading to the OMSI Science Center. For obvious safety concerns, FERN representatives notified Union Pacific (UP) prior to the performance that the tracks would be blocked. 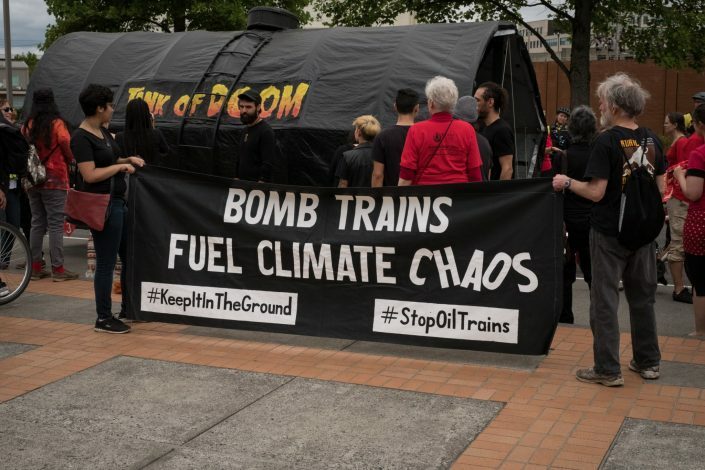 UP, which owns the tracks along the targeted corridor in SE Portland, resumed oil train traffic through the Columbia Gorge in June despite being found “solely responsible” for the June 8 derailment and explosion in Mosier, OR, and despite requests from Oregon and Washington state officials for a moratorium pending further investigation and public input. 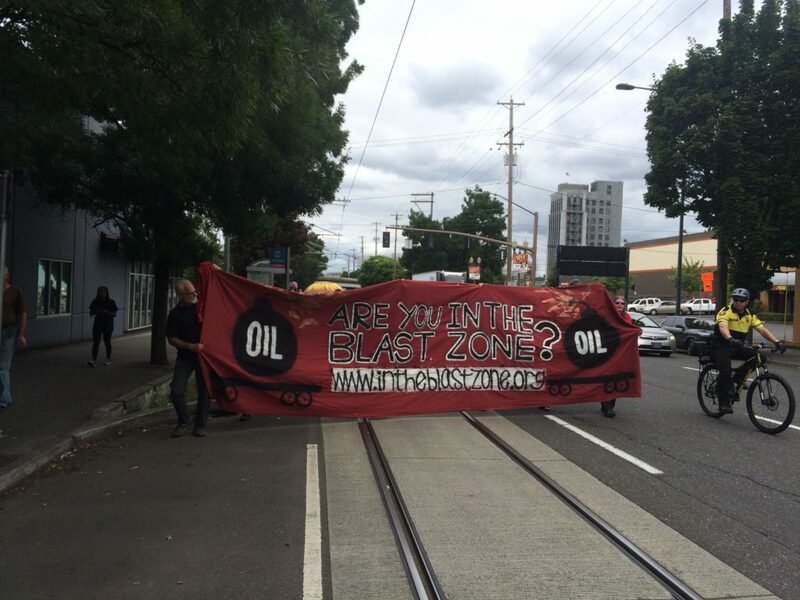 Communities all along these blast zones are asking for protection from future disasters. 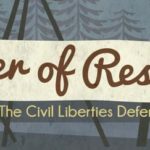 FERN is an open and inclusive organizing body that is rising to meet this call.